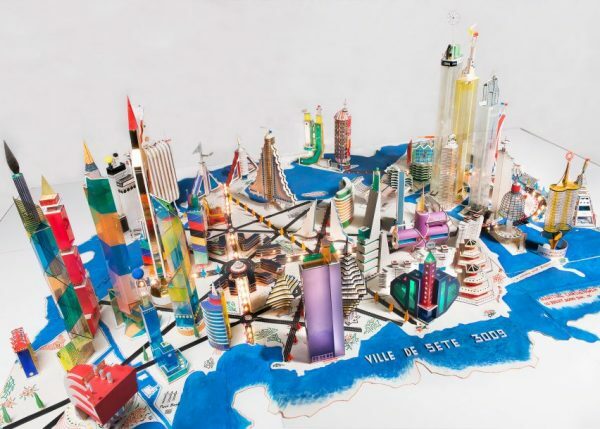 African Metropole Models by Isek Kingelez #ArtTuesday « Adafruit Industries – Makers, hackers, artists, designers and engineers! Among these is a trio of imaginary urban buildings displayed together, and completed successively in 1990, 1991 and 1992. They include Étoile Rouge Congolaise, designed as a court of wisdom focused on artwork and knowledge; Aéromode (Aéroport Moderne), a modern airport building; and Reveillon Fédéral, a democratic government building with a temple-like structure.